Model and measurement studies on stages of prosthetic gait. In our modern society, high impact decisions in numerous fields, varying from the tangible field of biology 1 to the more abstract financial field 2, are made based on mathematical models that predict the consequences of these decisions in the near and far future. Also in the field of rehabilitation medicine, which has a long tradition of good craftsmanship, the mathematical models become more and more important 3. Traditionally, in clinical settings, analysis of temporal and spatial parameters 4; 5; 6; 7; 8 and functional assessments such as the timed walk test 9 and the timed up-and-go (TUG) test 10, are used to assess (limited) aspects of basic functional capacities. Also, subjective approaches such as questionnaires and functional rating scales 11 are used to assess the functional capacities, the quality of life and health status 12. Observations done in clinical settings can be used to form (new) theories about functional ability and prosthetic performance. These theories can be represented by mathematical models. The advantage of these models is that they describe and explain the behaviour and results observed in a straight forward, quantitative and precise way. The outcome of these models can be used to gain new insights into the rehabilitation process, which contributes to the improvement of the theories. Also, these insights can be used to improve patients’ functional ability and prosthetic performance in a more practical way. Therefore, these mathematical models are an asset to the field of rehabilitation medicine. Biomechanical analysis can offer additional information about functional ability and prosthetic performance 13; 14; 15, based on motion, force and muscle activity data. Inverse dynamics mathematical models can be used to calculate the joint forces, moments and powers, which can not be measured directly. The output of these models helps to understand adaptations in motor strategies and energy transfer mechanisms, that occur with respect to the integration of the prosthesis into the dynamic system of the individual 16. Also, forward dynamics mathematical models allow researchers to inspect systematically the consequences of certain input parameters, without the interference of compensations strategies, which would occur in human subjects. The findings and insight gained with these models can help professionals working in this field to improve the functional ability of transfemoral (TF) prosthetic limb users by making the current rehabilitation programs, from early gait re-education to movement refinement and performance optimization, better and to create new and better prosthetic limbs (figure 1). 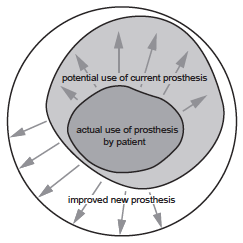 Figure 1: Improve the functional ability of transfemoral (TF) prosthetic limb users by providing insights and knowledge that contribute to the development of improved rehabilitation programs and prosthetic limbs.